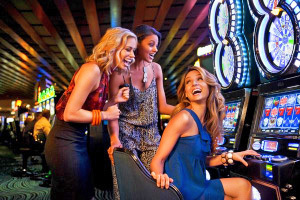 Talking Stick Resort is a luxurious Four-Diamond Scottsdale resort where fun is limited only by your imagination. Play in style on their 240,000 square foot property – one of the largest in Arizona. Savor the flavors and take in the panoramic views from the award-winning Orange Sky Restaurant. Test your skills on 36-holes of championship golf at Talking Stick Golf Club, one of the most scenic and challenging golf courses in Scottsdale. Then when it’s time to relax, head up to The Spa at Talking Stick and enjoy a relaxing spa treatment overlooking incredible views of the Valley. Check out Vegas-style entertainment and local favorites as they take the stage in the TSR Showroom.